Patients often understand a toothache to indicate tooth decay. While pain can certainly indicate the presence of a cavity or tooth decay, there are other potential causes of discomfort. As a leader in educational research and clinical outreach, Penn Dental Medicine’s student dentists strive to provide the most comprehensive approach to treatment and patient education. 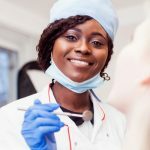 PDM not only treats toothaches with the most advanced, evidenced-based practices, but we also help teach patients the best practices to maintain their overall oral health. 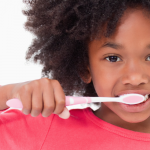 According to the Centers For Disease Control and Health Prevention (CDC), 18.6% of Americans between the ages of 5 – 19 demonstrate untreated tooth decay (dental caries), while 31.6% of adults between the ages of 20 – 44, exhibit untreated dental caries. While tooth decay does cause a toothache, there are a few other dental offenders that lead to tooth pain. As previously mentioned, a cavity forms when your tooth’s enamel is worn away. Bacteria from sugary foods forms sticky plaque on the surface of your teeth. As the plaque continues to build, it creates a hole in the tooth. At PDM, student dentists treat a cavity with a “filling,” to prevent further damage to the tooth. Fillings are typically made of gold, porcelain, amalgam, or composite resin. Much like tooth decay, gum disease occurs as a result of poor oral hygiene. Diminishing gum tissue can increase tooth sensitivity and lead to pain, which are often worsened by hot and cold temperatures. So when you drink hot coffee or eat ice cream, it can often cause a sharp pain in the affected tooth or teeth. Minor to moderate gingivitis can be corrected with proper oral hygiene practices—brushing and flossing as recommended. More severe gum disease, such as periodontitis may require root planing to smooth the root surfaces of the gums and oral or topical antibiotics to halt bacterial infection. If a significant toothache is accompanied by swelling of the gums, it may indicate an abscessed tooth. If the tooth is too far gone, you may be referred to a student endodontics who will perform root canal treatment. This process involves removing the infection, followed by placing a crown on the tooth to prevent further damage. If pain and sensitivity are intermittent but appear to be sticking around, it may be an indication that a filling is loose. Your student dentist will simply replace the filling. Bruxism is a technical term for teeth grinding. People affected with bruxism often experience a dull toothache. Sometimes, depending on the patient and diagnosis, a mouthguard can be useful in helping to reduce the grinding of teeth. If a toothache is accompanied by a headache and congestion, the combined symptoms may indicate a sinus infection. Generally, over-the-counter medications intended for sinus pressure and pain relief can help alleviate the problem. In some cases, you may need to schedule a visit with your primary care provider if OTC solutions don’t prove effective. Although most individuals are able to identify whether they have a cracked or broken tooth, there may not be initial visible signs. If, however, severe and sharp pain results when eating or chewing, a tooth may have experienced injury or trauma. A cracked tooth may also cause swelling of the gums. It’s important to consult with a dentist or student dentist as soon you suspect you have a broken tooth. If the tooth can’t be repaired, your student dentist may suggest a dental implant as a replacement option. At Penn Dental Medicine, we pride ourselves in offering safe, trustworthy, and effective dental treatment. 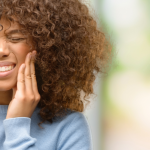 Whether you’re seeking treatment for a toothache or would like more information on how to prevent tooth decay, our PDM instructors and student dentists are here to help. 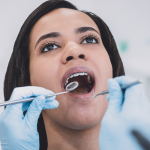 Did you know that one of the best preventative measures for healthy teeth and gums and overall oral hygiene is to make sure you schedule regular dental visits every six months? Contact us to set up an appointment or call us anytime at 215-898-8965.